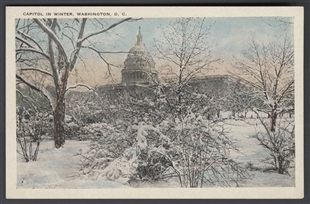 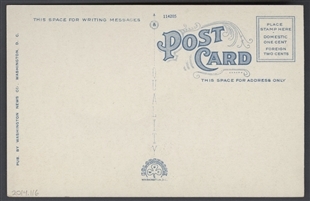 This view of the Capitol framed by snow-covered boughs became one of the most popular postcards of the building in winter. 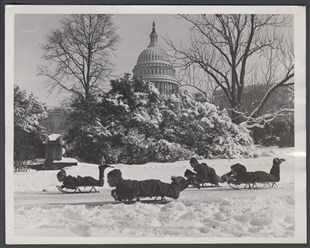 Clinton Buckingham took the original photograph in the 1920s, and over the decades, it was pirated and published repeatedly. 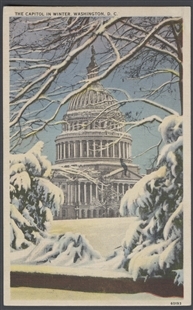 Winter Comes to Washington, D.C.